When it comes to window tinting you do get what you pay for. This is why we use Madico and Dub IR as our choice of films. being a non dyed 99 u.v block film it will always look the same shade for as long as you own your car. What sets us off from the rest is that we use high end film and computer cut software for all our window tint applications. This way we eliminate accidental damages from cutting directly on your car. Madico’s Charcool® automotive film combines classic looks with contemporary functionality to deliver everything you need in an auto film—along with added benefits. The state of California has very specific laws regarding window tinting on your car. Every state in the United States has its own percentage of darkness and reflection that your car windows are allowed to have, as well as other specific regulations you may need to know about. Below we’ll list all relevant information pertaining to tinted windows in California. The amount of light that can pass through your car windows is measured in percentages (called VLT), so make sure your tinting film is up to these standards! In California there is no difference in regulations for sedans, or SUVs and vans, so these laws are for all vehicles. Some tinting film can reflect incoming light, therefore further reducing glare and heat. California doesn’t allow the usage of tinting film which has more reflection than a standard window. If your car’s rear window is tinted, you must have dual side mirrors on your vehicle. In California you’re not allowed to use red or amber window tint film on front windshield. No color-altering tint is permitted on any other windows. Many states allow different window tint percentages due to certain medical conditions. Assembly Bill No. 1303 (source) has been approved in September 2017, allowing California drivers to apply for medical exceptions for tinting film. Previously you could technically get medical exemptions for sunscreening devices on front side windows, but any such devices were illegal to use during nighttime. 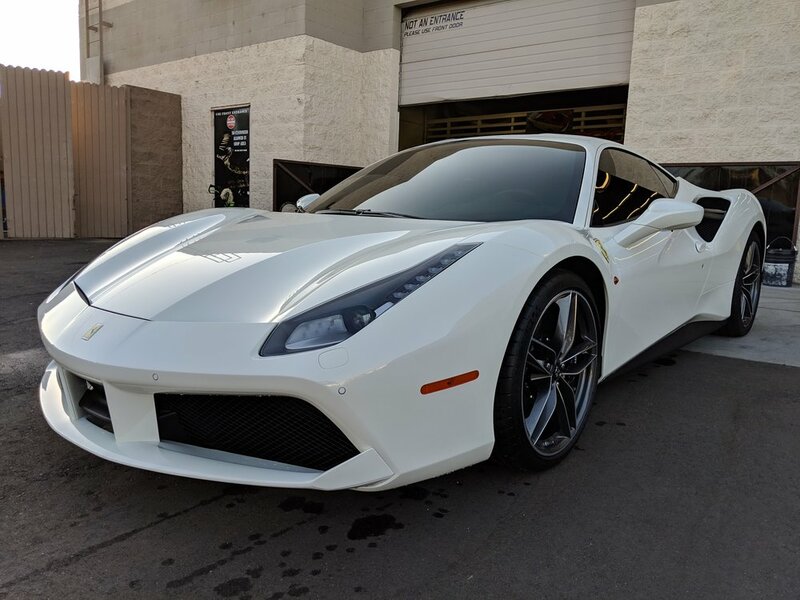 Under new California window tint laws persons with medical conditions requiring shielding from UV rays can install clear, colorless and transparent material on any window. Drivers are required to have a certificate signed by the tint installing company or from the film manufacturer stating the VLT percentage clearly, and it must display tint film manufacturer’s name and address. Manufacturers are also required to certify the film in this state before they are allowed to sell it.